Over the past few years I have tried several MAC foundations and I wanted to give a little overview of my experience with the foundations and how they compare with each other. I have been a LONG-time customer of MAC. 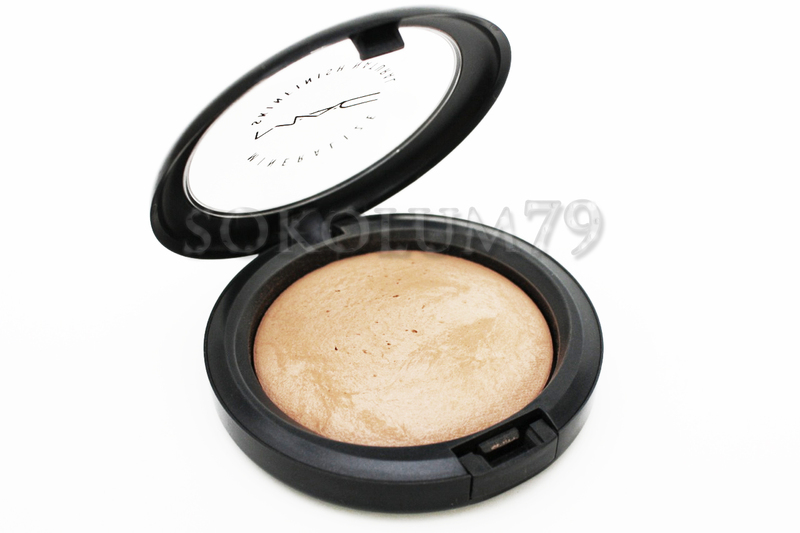 I purchased my first MAC Studio Fix Powder Plus Foundation in 1994 on a trip to Toronto. 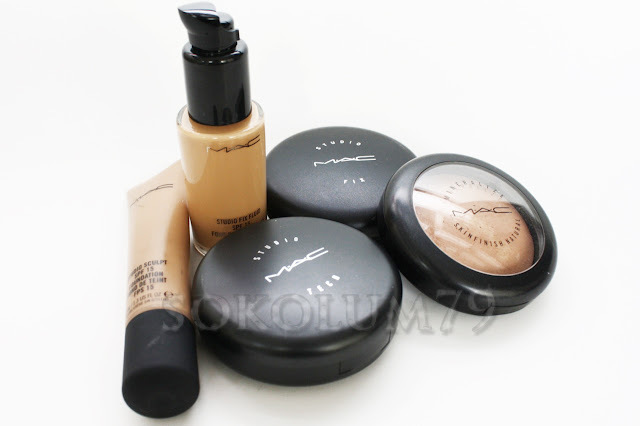 Since then I have used six or seven foundations from MAC, several have been discontinued, however, I will review five of their current foundations. There are slight variations in colour throughout the foundations so it is always best to be matched. I personally liked to be matched to my chest because my neck and face are more pink and it looks as if I am wearing a mask if I am matched to my jawline. All the foundations in the photos are the closest match to my current skin tone. Studio Fix Powder Plus Foundation (C40) - This powder/foundation has been a staple in my makeup routine ever since I first purchased it. I have tried many foundations over the years (I have a drawer full of foundations) but I always go back to Studio Fix Powder because it is quick and easy. I have five different shades of this foundation for the changes in my skin tone from winter to summer. Currently, I am a C40, NC42 is too peach for my very olive skin tone. 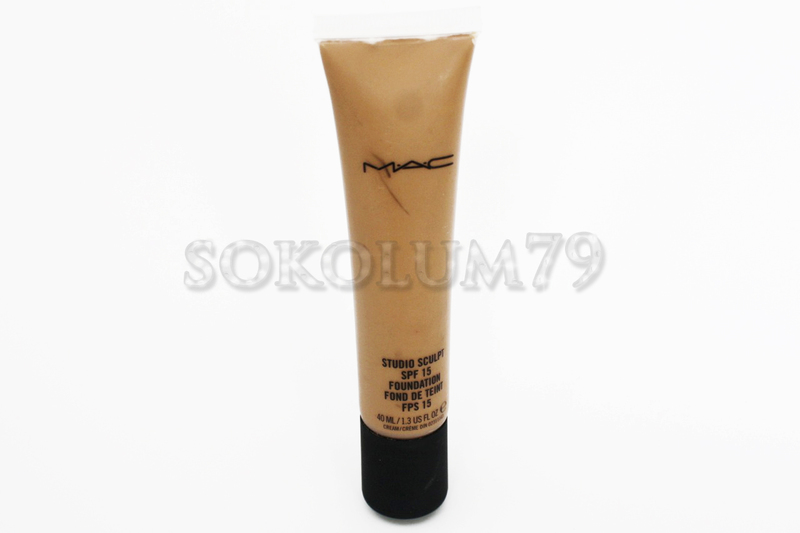 The foundation is medium coverage, matte and very smooth. It is best for normal to slightly oily skin (it did not last long when my skin was very oily) because it can cling to dry patches. Studio Fix Fluid SPF 15 (NC40) - This liquid silicon based foundation is a long lasting, matte, medium to full coverage foundation. When my skin was very oily, this was one of the only foundations that would last the day, throughout the blotting. I have to wash my face twice in the evening to ensure I removed all traces of the foundation. The only issues I have with this foundation is that it seems to emphasize my pores, but I find that most matte foundations do, and the SPF is too low to rely on (according to Beautypedia.com). Studio Tech (NC43) - This is what I am using at the moment. 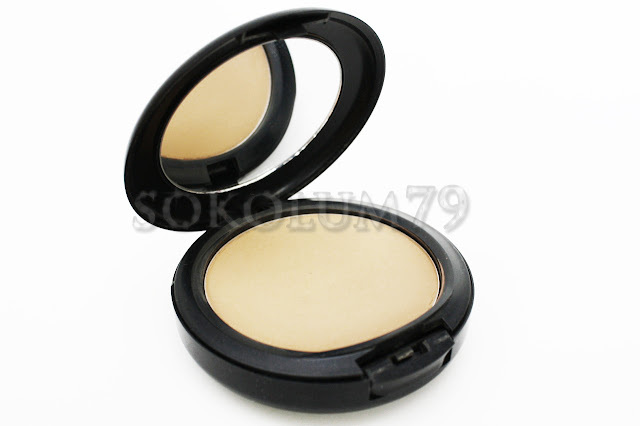 This is a cream to powder foundation and is light to medium coverage. It blends beautifully into the skin and gives me an almost smooth airbrushed finish. It does not have the dry appearance that Studio Fix Fluid and Powder have. 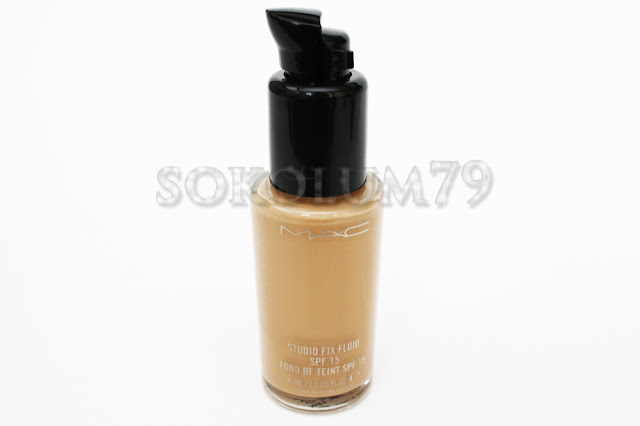 There is wax in this foundation and when my skin was blemish prone it actually made me break out, but now that I have normal skin, I have not had any issues. Studio Sculpt SPF 15 (NC42) - This is a water based gel foundation that is medium to full coverage. It dries to a dewy finish and is great for normal to dry skin. It is a little too moist for my liking and I am not crazy about the smell. However, I think it is a wonderful option for dry skin, more mature skin or people who like moist foundations. 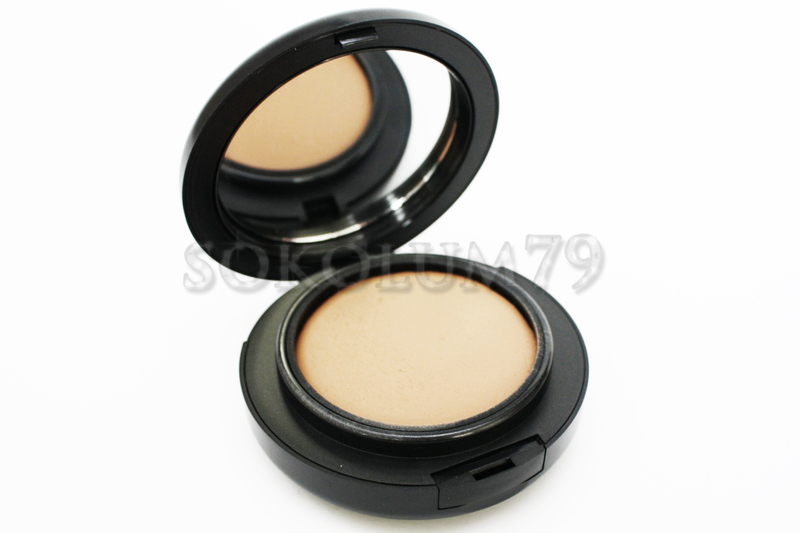 Mineralize Skinfinish Natural (Medium Dark) - This is not a foundation, but it is commonly used as a foundation. It is a light coverage, dry, satin finish powder. This powder is too sheer, too light and too peach for me so I only use it occasionally as a setting powder, but it can easily make my face too ashy. There is a limited colour selection and this was the closest match. It feels more dry than Studio Fix Powder so it may be great for oily skin. Mineralize Satinfinish SPF15 (NC40) - Sorry I don't have a photo, I used a generous-sized sample to try it out. This liquid foundation is a light to medium (maybe) coverage foundation that is suitable for normal to dry skin. It has an almost pearl finish, which is really pretty, unless it's not the look you're going for. Hopefully this has been useful. I may add to this post if I try out any of the other Mineralize or Matchmaster foundations. I have tried Face and Body Foundation, but I didn't like the sheerness and wet feeling that it gave so I only used it for a day or two.